The MyHeart Scholarship application for 2016 has now closed. We had over 3600 entries! It is taking somewhat longer than expected to thoroughly review all of the applications. We plan to be finished with the review process by the end of summer. Please bear with us and we will announce the 2 winners at that time. Thanks so much to everyone for applying. As of right now, we plan to offer another scholarship for 2017 starting sometime in the fall. To encourage the pursuit of knowledge in medicine, nursing, public health, nutrition, and exercise science, MyHeart is offering a scholarship in the amount of $1,000 for two students in post-secondary education(including medical school). MyHeart is specifically interested in providing scholarships to those with a passion for protecting America’s future generations from cardiovascular disease, although we will consider applications from students pursuing all areas of healthcare. At no point will MyHeart use any information collected from scholarship applicants for commercial gain. As doctors, we take privacy very seriously. Applicant information will be deleted from our database upon selecting a winner. If you have any further questions or concerns, please email spencer[at]myheart.net. 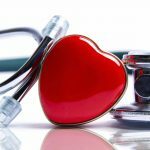 MyHeart is a collaboration of well-respected physicians and internationally known scientists dedicated to educating the public about cardiovascular disease and general health and wellness. MyHeart empowers subscribers to take control of their health by providing access to free online resources such as high-quality medical articles, patient narratives, and physician Q&A. Pursuing an undergraduate, graduate, or medical degree (Two-year degrees are eligible.) You must be accepted to claim the scholarship, but you can apply before acceptance. If not yet accepted, list the school where you think you are most likely to attend in 2016. The application process is simple…accurately complete the application form below. Applicants must also submit an essay explaining either a.) what you hope to accomplish with a career in healthcare OR b.) why you want to pursue a a career in healthcare in 500 words or less. Essay submissions exceeding 500 words will not be considered. This is intended to be a challenging and thought provoking exercise and will be the sole criteria for choosing the winning applicant(s). Please direct any questions to spencer[at]myheart.net. If you’re thinking about pursuing a career as a doctor, you’ll have to decide if you want to be an MD (Medical Doctor) of DO (Doctor of Osteopathy). This article outlines how the different paths in medical school compare. The POTS Center educates patients and families of those diagnosed with Postural Orthostatic Tachycardia Syndrome (POTS). It is the definitive online resource for all things related to POTS. One of the most advanced, hi-tech cardiology procedures, the MitraClip allows cardiologists to repair leaky mitral valves without open-heart surgery. In layman’s terms, afib with RVR simply means a fast heart rate. Sometimes however, the heart can literally beat out of control. 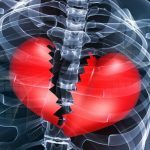 Learn more about this fascinating – but deadly – medical phenomena..
NSTEMI (Non ST-Elevation Myocardial Infarction) is a less severe type of heart attack. Our doctor-written guide to NSTEMI includes current guidelines for patients and professionals. Learn about a relatively common form of tachycardia that causes the heart to beat faster than it normally should. This guide includes symptoms, causes, and methods of diagnosis for inappropriate sinus tachycardia. Mitral regurgitation, also called a “leaky heart valve”, is a relatively common condition affecting the aortic valve’s ability to open and close properly. Instead of traditional open heart surgery, minimally invasive procedures like TAVR can be used to fix mitral regurgitation. Does having an earlobe crease predispose someone to having a heart disease? Could the fact George Bush has an earlobe crease be part of the reason he has so many heart problems? A STEMI heart attack is another type of severe heart attack and indicates a complete blockage of an artery in the heart. 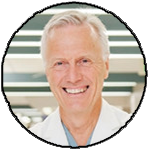 This article provides a comprehensive analysis of STEMI for patients and physicians. Also known as pericardial effusion, this condition is a result of excess fluid filling around the heart. A cardiac tamponade is by far the worst form of this condition and can be lethal. An incredibly common form of congenital heart disease found around the world. Believe it or not, it all starts with what’s commonly known as strep throat. If it advances into rheumatic fever, this type of heart condition can show years later. One of the most common signs of a heart attack – chest pain or a tight chest – is the same for an anxiety attack. How can you tell the difference between a heart attack and anxiety? This article explains just that. I was just wondering if you still planned to offer another scholarship for 2017 and if so, when you might be offering it. Another request for information on MyHeart’s 2017 scholarship! Thank you for very much for supporting students in the medical field! I would like to apply for this scholarship but I do not see a link on where to apply. How can I submit my application? I want to become an occupational therapist to specifically impact patients who have special needs. Throughout high school I have volunteered with special needs students, on Sundays, I sit with two teenage girls with down syndrome, we listen to a lecture and my task is to keep them focused and assist them in their participation of activities and discussion. These two lovely girls are why I want to become an occupational therapist, I want to improve students with special needs’ cognitive skills along with being someone they look up to. Sunday nights I meet with a special needs elementary school teacher, she often proclaims how much the occupational therapist at her school affects her students. The O.T. (occupational therapist) meets with the students once a day for 30 minutes, which doesn’t seem like much, but a teacher who works with these children for 8 hours a day says that without the O.T., the abilities of the special needs students would be much more limited. An undergraduate degree in kinesiology and a graduate degree in occupational therapy will streamline me to where I want to be by the age of 26, an occupational therapist. After a few years of working in a hospital or elementary school, I plan to open my own occupational therapy practice specifically for individuals with special needs. With my own practice, I will be able to reach a community who is often overlooked. I want to make a difference in people’s lives, even if my plan fails, I will strive to change others for the better through whatever means necessary. A major in kinesiology will give me a foundation on the functions of the human body and graduate school will prepare me for working with patients through classes and internship opportunities. After I receive a bachelor’s degree, I plan on attending graduate school to receive a master’s in Occupational therapy. I want to become an occupational therapist to specifically impact patients who have special needs. Throughout high school I have volunteered with special needs students, on Sundays, I sit with two teenage girls with down syndrome, we listen to a lecture and my task is to keep them focused and assist them in their participation of activities and discussion. These two lovely girls are why I want to become an occupational therapist, I want to improve students with special needs’ cognitive skills along with being someone they look up to. Where is the application found? This link: https://myheart.net/scholarship/ does not seem to have a form. Can you send my an application form for the scholarship? Good evening, I would like more information on your scholarship program. Going into a healthcare field can be a little stressful but it’s also exciting. There are a lot of benefits to having a career in the healthcare industry, but if the benefits (like cost) are the only, or biggest, reason why you decide to take that path, it’s not worth it. For me personally, I want to be a physical therapist, specifically for sports, and the passion for it, is the biggest reason why I’m taking this career path. I know I will do good and be successful because I actually want to do this unlike others who are either forced, or are just going through the motions. I’ve always been a fan of sports since I was young. I did karate and martial arts training at the age of 8, started playing in recreational basketball leagues at the age of 10, began AAU at the age of 13, and played high school basketball. I just enjoy playing sports, watching sports, and reading about sports. I feel like I have gained abundant knowledge from this that will not only help me in my future career, but in life also. The first time that I decided I wanted to have a career in sports therapy/physical therapy, was in April, of 2017, when I broke my right wrist. After going to Patients First, getting rehab, and talking with other physical therapists at a therapy clinic, I gained a newfound passion. At first, I felt like I could use this for basketball, as I strive to be a collegiate basketball player. But shortly after, I decided that this career path was the one that would benefit me the most, and it felt right for me. I’ve already started researching about physical therapy programs at the top colleges and universities and I hope I find the best college for me, academically and athletically. I also know that being a physical therapist is in the Top Ten Happiest Jobs, according to Forbes. In the future, I hope to be really successful in my career, as I find joy in being beneficial to other people, like helping an athlete with a broken wrist! Every since I was four years old I’ve wanted to be a physical therapist. I have been researching and documenting physical therapy for six years. I am now currently enrolled in college to pursue my career. I have confidence I will be able to succeed in the career and help many people along the way. It makes me happy to help others in need. I use to be a volunteer at a hospital and help around with patients in need. Greetings! I’m currently enrolled in Radiology Informatics with a 4.0, and I’m on the Dean’s list. Are you offering any scholarships this year?